Readercon was a whirlwind! After a day on the road car-conning back to Ottawa, I’m home-ish, catching up on correspondence and things that need announcing before I can even begin to process what an incredible, beautiful, excellent weekend it was. 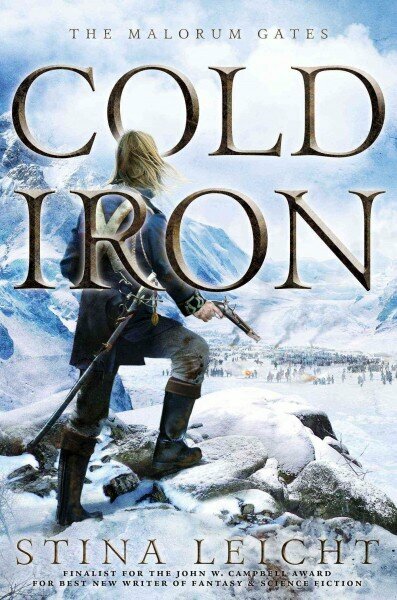 First, Stina Leicht’s Cold Iron comes out today, and my review of it dropped this weekend. In the acknowledgements for Cold Iron, Stina Leicht writes that one of the questions at the core of her new Malorum Gates series is, “if Tolkien had been American, what would fantasy look like?” It’s a fascinating question — and I don’t intend to sound cynical or glib when I say that, according to Cold Iron, the answer is, at least partly, “more full of guns.” Cold Iron is very attentive to the nuances of early modern warfare, on both land and sea. It explores the clash between competing technologies and philosophies as magic-wielding Kainen (elves) and musket-firing Acrasians (humans) wage war on each other. Reading this book was like watching light slowly flooding a dismal room. The difference in Thaniel’s outlook, habits and happiness before and after meeting Mori moved me to tears. The tenderness, the small kindnesses given by lonely men to each other in the absence of words — sweetening a mug of hot water and lemon with honey, buying sheet music, baking sweets — was deeply beautiful. I would have happily read a whole novel shorn of any incident but their growing love for and trust of each other. But there’s a great deal more than that here: humor, wit, mystery and danger are threaded through the book in musical measure. It dances between genres and makes partners of several: one could call it steampunk for its Victoriana and etheric experimentation, science fiction for its musings on determinism, historical fantasy for the ways in which those elements are seamlessly blended with late 19th century London. This is kind of a huge deal to me. A few friends told me they encountered my name in their for-real actual print newspapers, or their parents did, and it was an unlooked for surprise. It’s sort of amazing, thinking about it now, how in spite of the perhaps more global reach of a post on the LA Times’ website, there’s something more Real and Serious about a review appearing in my friends’ hands, staining their fingers with ink. It bears thinking on. At any rate, the book is beautiful and I’m so happy I could review it. Last but most certainly not least, I interviewed Celeste Rita Baker — whose story “Name Calling” prompted me to write this essay on reading dialect last year — for the current issue of Cascadia Subduction Zone. We discussed her new collection, Back, Belly, & Side: True Lies & False Tales, whether writing in between genres is comparable to writing in between languages and dialects, and much more. 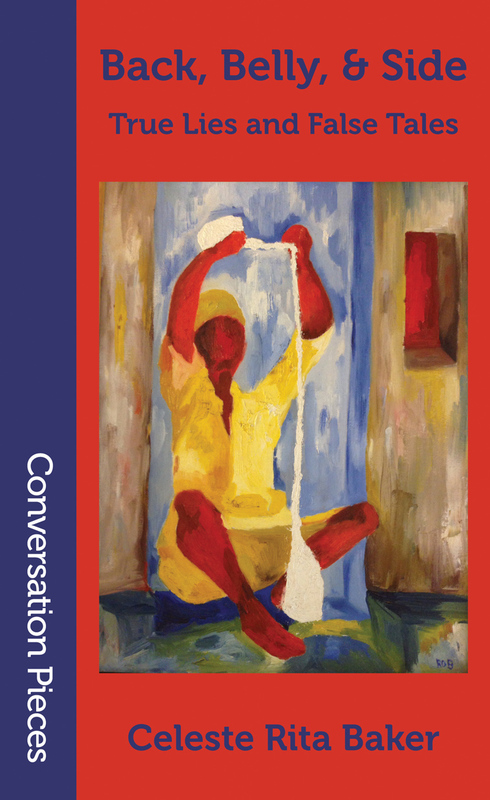 This interview isn’t available online, but I highly recommend subscribing to CSZ or buying a copy, as this issue in particular also contains poems by Alicia Cole, Bogi Takács and Sonya Taaffe. This entry was posted in Uncategorized and tagged aqueduct press, celeste rita baker, csz, interview, la times, natasha pulley, npr, review, stina leicht. Bookmark the permalink. Is The Watchmaker of Filigree Street any form of fantasy/magic realism? I’m looking for books to recommend for a panel and it seems like it would be interesting (especially to the steampunk crowd), but if it doesn’t contain fantastic elements it falls outside the topic. Either way, I think I might read it myself. On a side note, thanks for writing “The Truth About Owls”! It was the most beautiful story I read last year!